'dassera' marks the end of the nine nights of dancing (navratri) and celebrates the triumph of the good over the evil. traditionally, people used to worship the tools that were essential to their occupation. 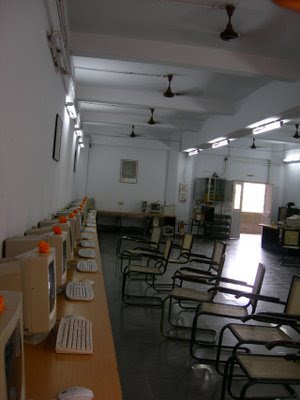 today, with everything being computerised, the computer monitors seem to be the lucky ones bestowed with flowers. this pic is within the college computer lab.